The ecological wardens have been picking the daisies manually for many years in order to keep them in check. This seems to be somewhat successful. 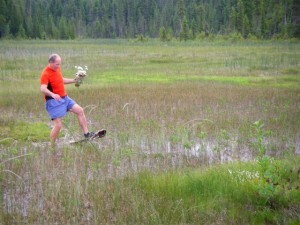 There is a vast area of the meadow composed of marl wetlands which act like quicksand when stepped into. 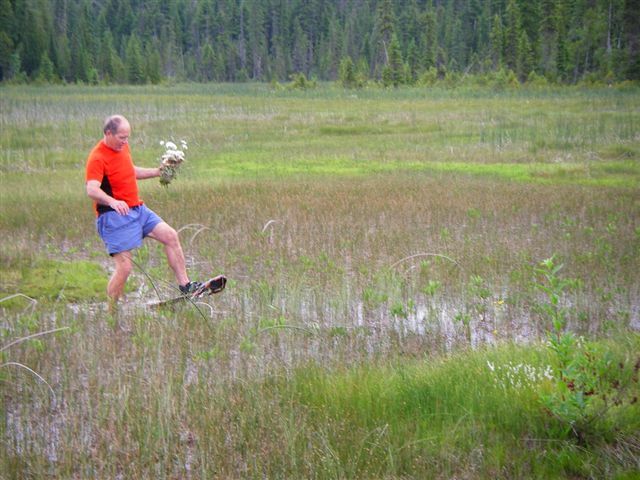 In order to pick the daisies on inaccessible hummocks in that area snowshoes were used. We have started experimenting with alternate methods such as pulling the first year plants by their roots and just picking the flower heads from the mature plants before they go to seed. Oxeye daisy is a biannual. Does anyone have comments or ideas on this approach or others that may work?